Skiing in Auli : In the heart of Himalayas, Auli remains a hotspot for skiing lovers. 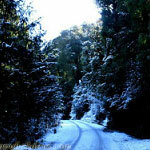 It’s an ultimate winter resort with a slope of 3 kms. 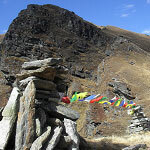 Slopes range from a height if 2519 to 3049 mts. Run by the Garhval Mandal Vikas Nigam (GMVN), it has snow beaters for a better skiing experience. Endowed with a 500m long ski-lift, skiers can get back to the slope very conveniently. The beautiful environment, view of the mountains and a backdrop of thick forests is a captivating experience. 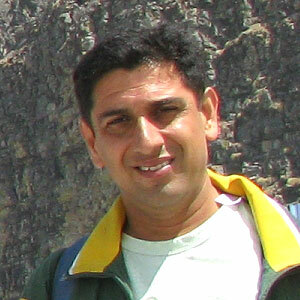 The international quality skiing infrastructure attracts skiing lovers to Auli. You can enjoy an Auli skiing experience with the most modern equipments being employed here. Blue Poppy Holidays conducts skiing courses for a more professional experience for sports lovers. Special provisions for day tourists are also available. 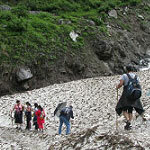 Training is administered by experienced professionals for enhancing the learning of tourists. Please contact us if you wish to visit Auli for learning Skiing or for just visiting there. 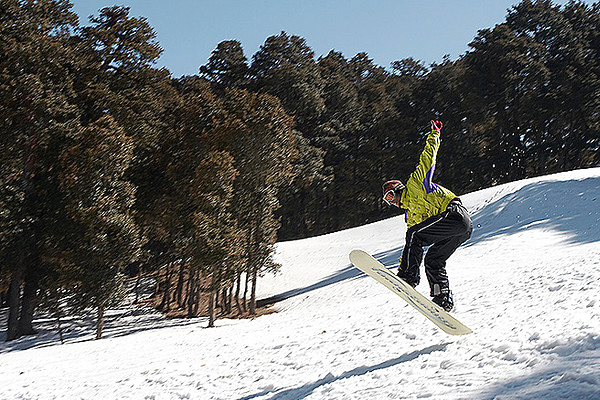 Auli is one of the most fascinating slopes for winter sports. The months from December to March remain flocked with adventure lovers. 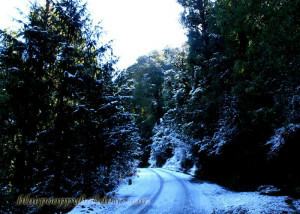 Slopes are blessed with oak and deodar forests reducing the chilling winds. With lifts installed, you can get to the top of slope. 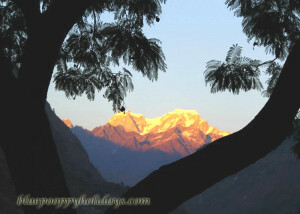 It’s a wonderland for winter sports and one can enjoy the splendid views of the Himalayas all along. The cool breeze and the placid atmosphere give it an enchanting touch. 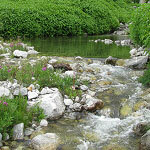 Not just the slopes, it is endowed with a clean environment. The sheer altitude is enough to magnetize the spirit of skiing lovers. The snow and ideal infrastructure makes it even more tempting. In summers, you can enjoy the mountain bike trails. 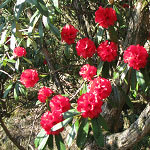 It’s pleasant weather here and the rich flora and fauna adds to the beauty. 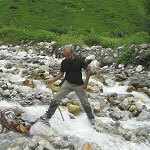 A trek of 3-4 kms from Auli reaches Gurso Bugyal. 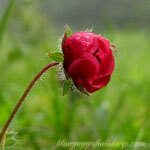 They are open meadows which feature endearing views of the Himalayas. 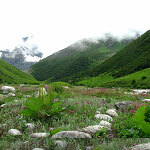 You can enjoy picturesque view of Nanda Devi, Dron parvat and Trishul. 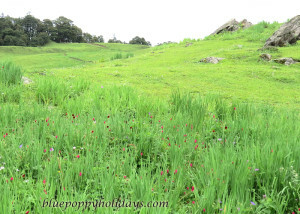 Gurso Bugyal is covered with a snow blanket during winter but blooms as a pastureland in the spring season. We offer lucrative skiing packages. We have included everything that makes you skiing experience truly impeccable. 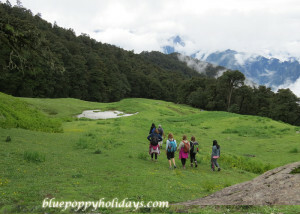 Book with us online and enjoy an awesome trip to the paradise in the Himalayas.